A toothless smile can affect many aspects of your life, including your confidence, comfort, and health. If your teeth are missing or are so damaged that they need to be removed, you may have to go to great lengths to eat comfortably or speak as usual. 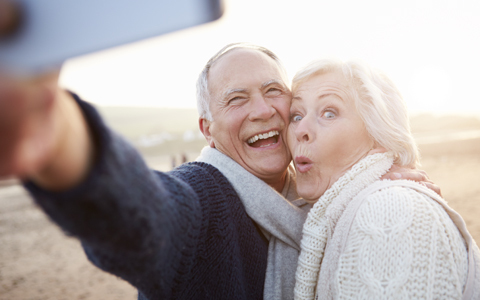 At Deborah McNeil-Amorteguy, DDS, we offer high-quality dentures that fit your lifestyle. Dentures are a great option for people who no longer have all of their original teeth. We offer custom-made dentures that will appear natural, whether you still have some of your original teeth and only need partial dentures, or are missing all of your teeth and need a full set. We also offer implant supported dentures, which can click into implants that are surgically attached to your jaw. Dr. Amorteguy will help you determine which type would best fit your lifestyle and individual needs. They can increase your self-confidence. You don’t have to feel awkward when smiling or laughing in conversations. Dentures will provide you with a full, beautiful smile you may not have had for some time. They can help improve your appearance. With dentures, you can have a more beautiful smile, but they can also make your face look fuller and more lively. When you are missing several teeth, the face can appear as if it is sinking in. Dentures prevent this from happening. They can help make speaking and eating easier. It’s hard to speak normally without teeth, but dentures make speaking feel and sound more natural. They can also help you to enjoy more of the foods you love! Learn more about our services and how we can help improve your smile with dentures. Call Deborah McNeil-Amorteguy, DDS today!